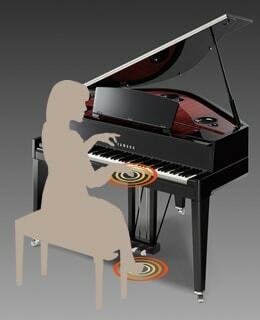 the acoustic; technology polished by the new relationship between the piano and the pianist. We all wish to be enveloped in the sounds we play, yet find ourselves constrained by concerns for those around us. There are probably many, even among those who own grand pianos, who have wished they could play at a reduced volume from time to time. So it was that we felt there were two clear goals to achieve in the development of the AvantGrand. 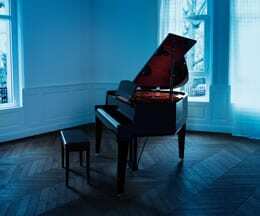 One was to create an instrument that mirrored the attraction of the grand piano as closely as possible. 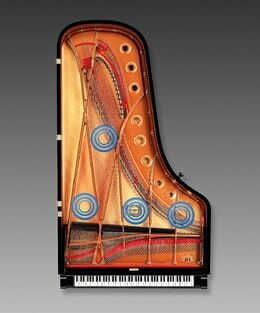 The other was to endow it with a responsive feel, without sacrificing the rich expression the grand piano offers when played with restraint. To realize these goals we examined everything down to the minutest detail in crafting the AvantGrand; from the keyboard and pedals that are the “gateway” to sound, to the sampling methods used, and the speaker system from which the sound exits, we left nothing overlooked. 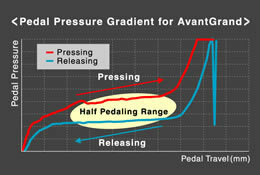 the AvantGrand truly becomes an extension of your body as you play. 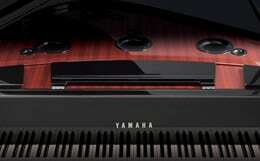 The nuanced touch and response of the grand piano are an essential standard yardstick for piano quality. 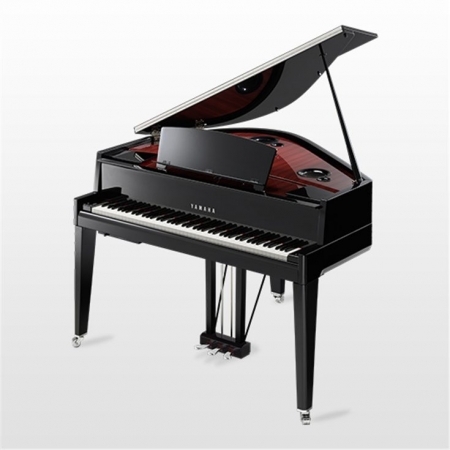 It offers the player a specially-developed grand piano action that features the same configuration as the action of a real grand. The hammers strike the “strings” from underneath, allowing minute adjustments to the weight distribution of the hammers, and to the movement of the hammers themselves, for a smoother feel when playing. In addition to a hammer sensor, this instrument employs a non-contact key sensor that has no effect on the movement of the keys, affording excellent recognition of the player’s pressure on the keyboard, timing, and the other delicate nuances that affect musical expression. This combination provides an impressive sensitivity for the entire range from pianissimo through to fortissimo, and the ability to translate even the swiftest trills of the pianist with transparency. 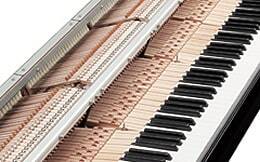 The wood construction of the keyboard mirrors that of the grand piano, and features New Ivory II on the white keys. This is a unique material developed by Yamaha, with a texture superbly close to that of natural ivory, allowing you to play swift passages with ease while also offering a sure response for slower pieces. Pedals specially designed to replicate the subtle pedaling unique to grand pianos. Light to the touch at first, with subtle firmness partway through its travel, and lightening again as the player pushes further; the pedals of the grand piano have subtly different stages that can be felt when the pedal is depressed. Skilled players take advantage of these pedal movements by using extremely delicate pedaling that allows them to achieve finely nuanced expression in their play. In developing this instrument, we set out to reproduce the sensations of a grand piano’s pedals as faithfully as possible. The resulting pedal allows for music as you believe it should sound, equally responsive for more impressionistic pieces that require a lot of half-pedaling. Looking at sound from a soundboard from a new perspective. Investments in new technology for the AvantGrand. 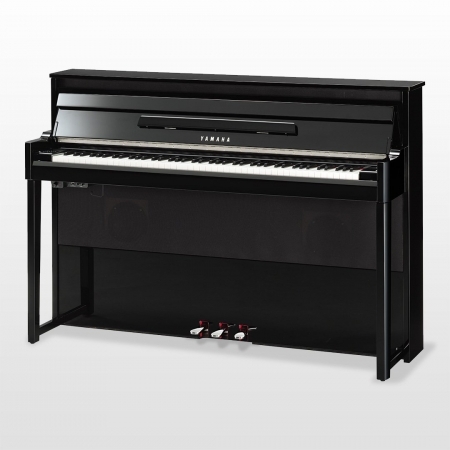 With the introduction of the AvantGrand, Yamaha ignited a revolution in the approach to sampling recording and playback of the notes of the actual acoustic piano. Treating the soundboard not simply as a point source of sound but as a plane, we took samples at four positions, adding optimum center and rear locations to the traditional left and right. As a sound source, we carefully selected the best single instrument from among our CFIIIS full concert grand pianos for sampling. The end result of these efforts is that AvantGrand series instruments recreate the original sound of a superb grand piano almost to perfection. Meanwhile, the AvantGrand’s speaker system has been designed to ensure that this sound is heard best at the playing position. A three-way system featuring woofer, mid-range and tweeter speakers reproduce the rich natural resonance of the soundboard accurately. What’s more, each of the low-, mid-, and high-frequency bands has been given its own amplifier to prevent interference between bands. 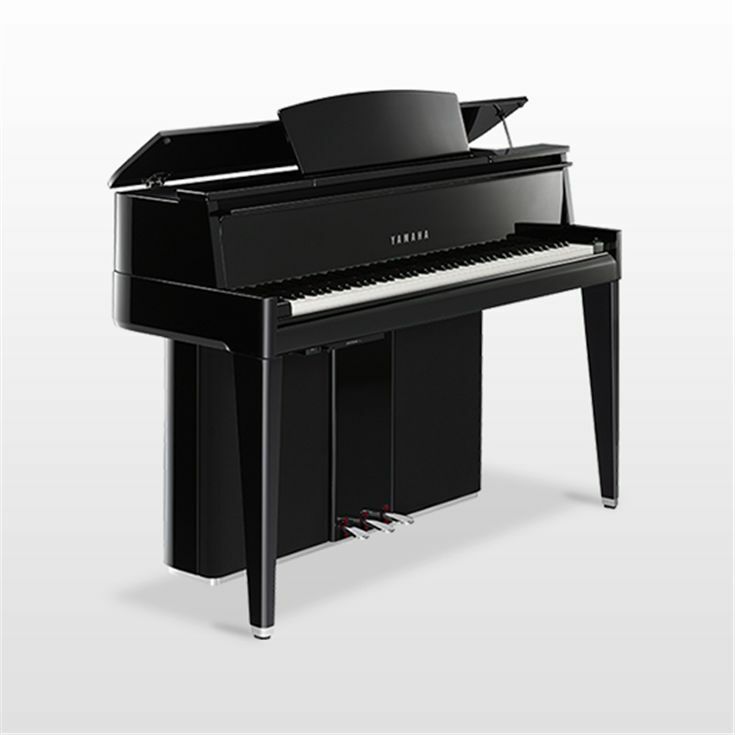 This innovative configuration allows the instrument’s outstanding sound system to reproduce the nuances of each individual note. For even greater sonic accuracy, the speakers of the N3 duplicate the original sampling positions, while the N1 and N2 feature speaker layouts optimized for the size of the instruments. The Soundboard Resonator precisely emulates the way in which the instrument reacts to the sound of hammer hitting string. 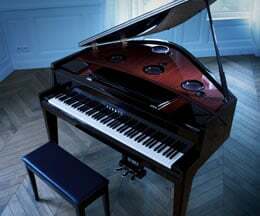 The sound of an acoustic piano resonates throughout its entire body. The bass range in particular is an essential part of the reverberation that is continually transmitted to a player’s body. In the AvantGrand, this is replicated by our newly-developed Tactile Response System (TRS) that focuses on reproducing reverberation. 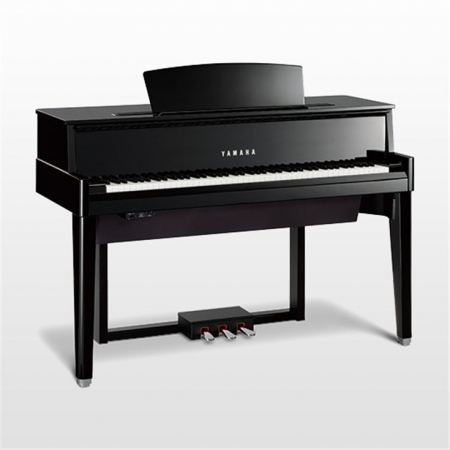 This system features two transducers in the soundboard, the area underneath the keyboard, resonating natural reverberation throughout the entire instrument. The player receives the natural sound felt f rom hands touching on the keyboard and feet depressing the pedals; the epitome of real piano playing. This system can be turned on and off, and the vibration set to one of three levels.